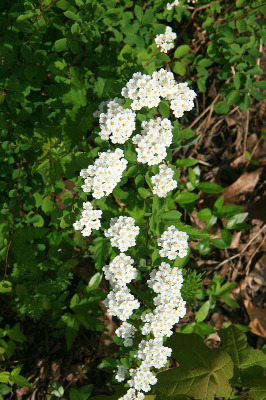 A very well-known, commonly cultivated taxon of garden origin as a hybrid between the Asian Spiraea cantonensis Lour. and S. trilobata L., and seldom established where not planted. Our few specimens are from an abandoned quarry, lake shores, and along railroads and roadsides. First collected in 1936 in Houghton Co.
MICHIGAN FLORA ONLINE. A. A. Reznicek, E. G. Voss, & B. S. Walters. February 2011. University of Michigan. Web. 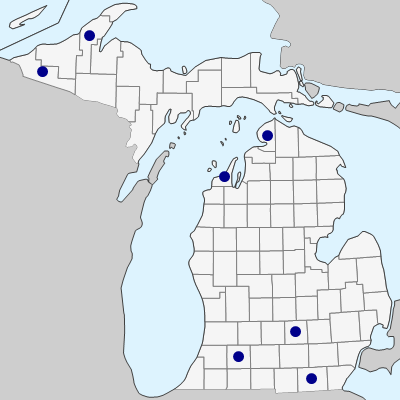 April 19, 2019. https://michiganflora.net/species.aspx?id=2576.